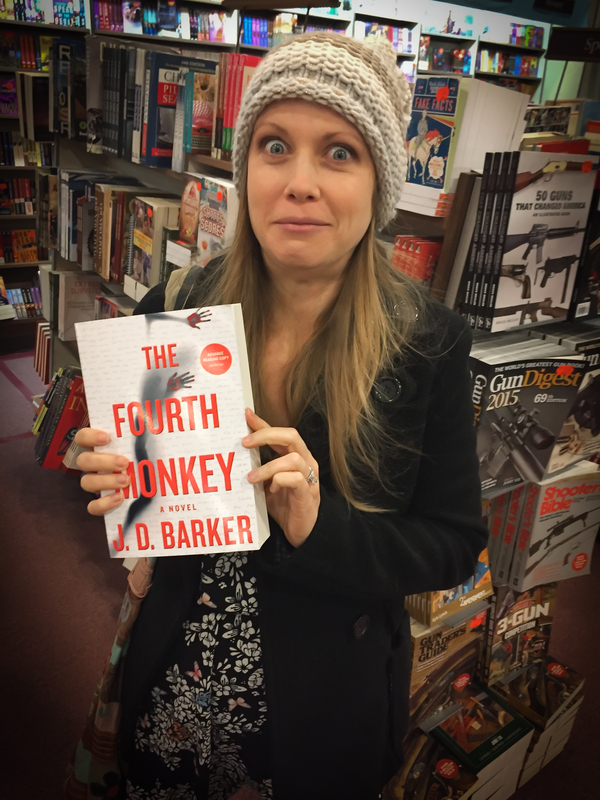 Where did you buy your copy of THE FOURTH MONKEY? Your entry will automatically be entered in the Draft Copy Giveaway! Still haven’t bought your copy? Order here. You could win a draft copy of this novel! If you found this page, you are about to embark on a journey sure to change your life, bring you immense riches, fame, and the love & adoration of millions of strangers (and not in a creepy way). Okay, maybe not all that but you’re going to have a little fun. 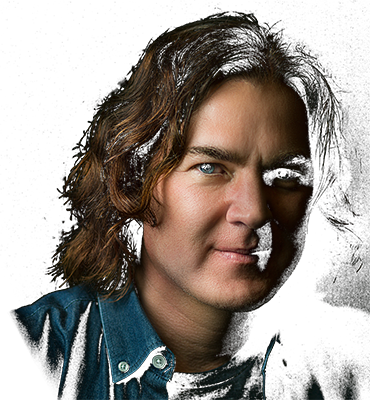 I’m often asked what it takes to write a novel and I usually spout off the same information you’ve heard from every other published author out there; write about what you know, write every day, edit, be prepared to hit the delete key – beneath the fat is a trim piece of meat. Anyone can write a book, it takes a good editor to tell a story. You see, books are not born perfect. They start out as truant, disobedient children deserving of nothing less than a one-way ticket to military school where (any parent hopes) they will be whipped into shape and molded into great little citizens before finally being released upon the world to find their place in life. From the time I step out of my office with a new manuscript in hand until the moment it finally lands on my publisher’s desk, many people peruse the pages, red ink is spilled, highlighters run dry. This is all part of the process, necessary steps when turning that mischievous troublemaker into a presentable adult in a finely tailored suit. My wife is my first line of defense – the first person to peel back the cover page and work through my mess of words until finally reaching the last page with those two glorious words, THE END, printed at the center. Adverbs fear her, Unnecessary characters quake in their boots, knowing she can end their lives with a flick of her pencil. She is my toughest critic and I love her for it. At this stage, a new book requires honesty. If something doesn’t work, it must go. She doesn’t hold back; I wouldn’t want her to. Once she is finished, I return to my office, tattered manuscript in hand, and lick my wounds. I then rewrite, and rewrite, then edit and rewrite my rewrite. I address the problems she pointed out, correct the weaknesses, and breath new life into the dying, emerging with (what I hope is) a better book. Then that manuscript takes a trip down to the local QuickCopy, where it multiplies by half a dozen or so. These copies go to my First Readers. At this stage, we hope the truancy problems have been solved, the child is quick with a “Yes, sir” or “No, ma’am,” no longer the evil little monster it once was. But there is always something left behind. The stubborn little errors that slipped by, determined to make it into the final printed copy and onto a bookstore shelf. My First Readers are tasked with finding those last few errors, those flaws, the remaining plot holes. Thirty days later those printed copies come back to me, marked up and beaten with signs of war. And I go to work, one last time. When I find myself no longer adding or deleting paragraphs, when I’m doing nothing but shuffling a comma from here to there, then back again, I know the work is done. The file is emailed to my agent and publisher and all those printed drafts are boxed away and retired to the basement, never to see the light of day again. Those boxes are stacked to the rafters and I’d like your help cleaning out my basement. We’re going to make a bit of a contest out of it – hold on tight. 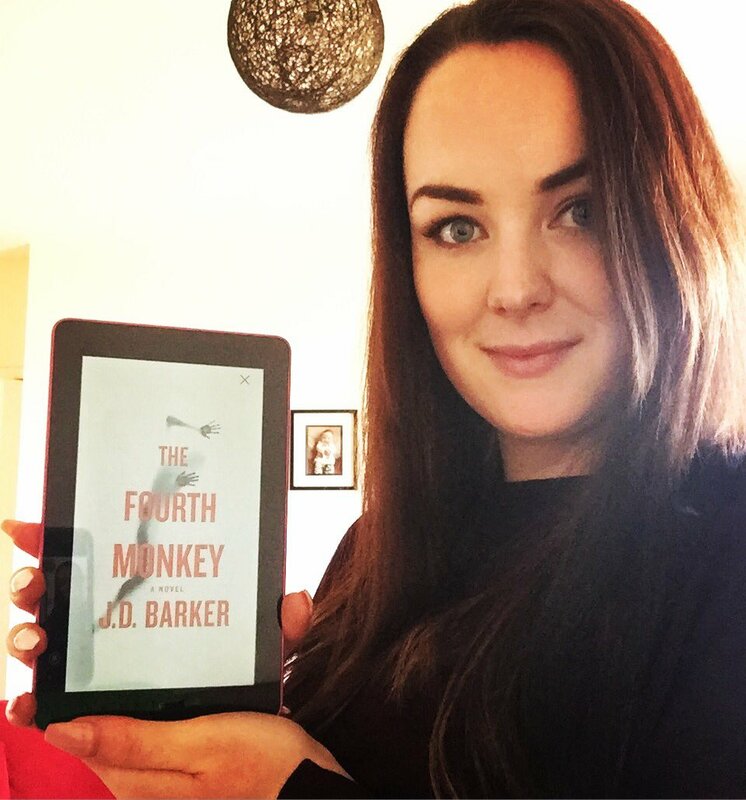 I’ve got a little book out called, The Fourth Monkey. If you’re reading this page, there is a good chance you’ve already bought it. If not, you can order here. 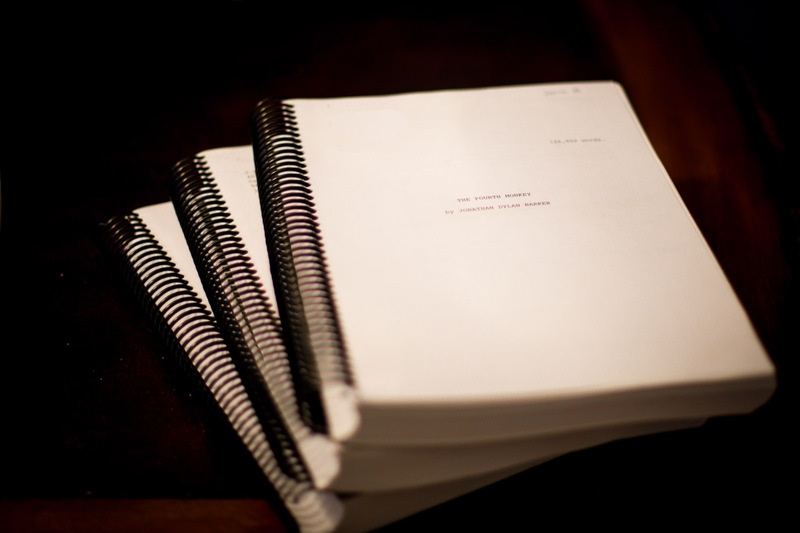 How would you like to own one of the draft copies? Each is unique, one of a kind. Not only do they contain story elements different from the final novel, they’re chock full of handwritten notes (I apologize in advance for my horrible handwriting). If you’re a fan, how cool would it be to own one? If you’re not a fan, well, they’ll fetch a pretty penny on eBay. Either way – winner, winner, chicken dinner. Here’s the kicker – You can repost that same image as many times as you’d like on as many social media platforms as you wish. Each post of a verifiable purchase equals ten entries. Don’t forget to support your local bookstore by mentioning them in your post! Want to gain even more entries? Share this contest with the social media buttons below. Each share equals one entry. Winners will be announced August 31st, 2017 (Contest closed – winners below).